Fully balanced to fit Horizon perfectly (included the new NPCs). You can also acquire it in the Market Trading Terminal (Silent Jay). -1º Horizon, 2º the armor, 3º the patch (.esp replacer). -Always check that the patch corresponds to the current version of the original mods. All the credits to zawinul and Niero. Do you find a bug? Use the comment section to report (the bug tab does not notify me when someone posts) and try specify exactly when and what were you doing when the error happened (so I can reproduce it). 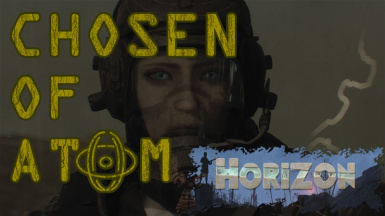 Beyond that, check first that the patch corresponds to the current version of the original mods, that it is not an error derived from the original mod, that you have done the installation correctly, and that the loading order is the correct (the patch must be below horizon.esp). F.A.Q. : How can I merge a mod/patch? To gather all the patches of the weapons that you like the most, you need to do two things: merged the plugins (patches) and, in addition, gather the rest of the files (of the original mods). For that, I indicate here guides that are very good. For the plugins I recommend using this guide. And to gather the files, you first need to unpack all the .ba2 files with Archive2 and then pack them again together, so check this guide an this guide too that explain this process step by step (Important note: When compacting, for files that are not textures, it is Format: General and Compression: None. When it's texture, put Format: DDS and Compression: Default). It is a good practice if you want to save a lot of plugins, although it can be quite cumbersome when updating. If you do this, I strongly recommend that you spawn all weapons via console to check that you did everything right (help "weponname" 4 weap). See the profile of ArcherDown and RickTheNexus for tons of clothes and armor patches. And check my profile (chrislor2882) to see more stuff.